The Ford government has launched a plan to tackle lengthy waiting lists for autism therapy. It will also now provide families with up to $140,000 per child until age 18. The Ford government has launched a plan to tackle lengthy waiting lists for autism therapy, with the aim of clearing the province-wide backlog within 18 months. Some 23,000 children diagnosed with autism spectrum disorders are waiting for government-funded treatment in Ontario, while just 8,400 are currently in the program receiving therapy. Government officials say this freezes out three-quarters of the kids who need treatment, promising that the reforms announced Wednesday will help to address the problem. 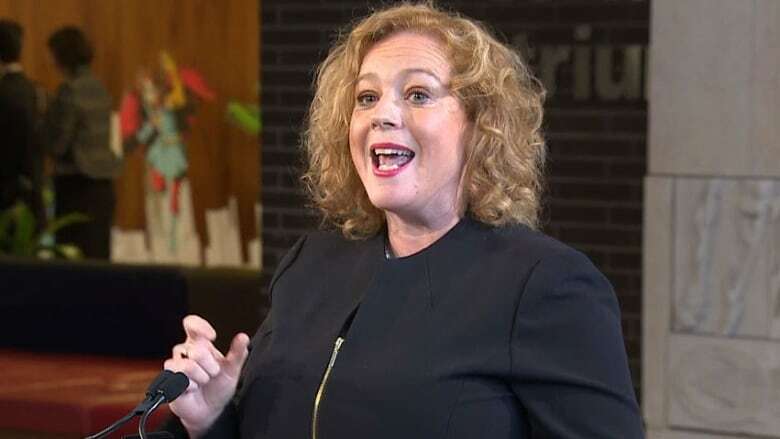 "We've heard how the autism program isn't working for the families who need support for their children," said Lisa MacLeod, Minister of Children, Community and Social Services, during a news conference at Holland Bloorview Kids Rehabilitation Hospital. "We recognize how difficult it is for families once they receive a diagnosis, and we want to simplify how they navigate throughout that process," she said. "Our challenge as a government is to continue to be there to support them." While MacLeod said tackling the existing waitlist is the government's priority, she also announced a plan to double the province's investment in autism diagnostic hubs. The hubs currently receive $2.75 million in annual funding. There are some 2,400 children in line for assessment and on average they wait 31 weeks, according to government figures. The PC government will also provide direct funding to families with autistic children. MacLeod said those families will now be eligible to receive up to $140,000 per child until the age of 18. That money will be front-loaded, she explained, since children experience the most need at younger ages. Research shows early intervention has the most impact in helping kids on the autism spectrum, MacLeod said. The government will act on 14 out of 19 improvements requested by the Ontario Autism Coalition, government sources previously told CBC News. They said funding to the program will not be cut. The PCs hinted at their intentions this week in an article written by Amy Fee, MPP for Kitchener South—Hespeler and parliamentary assistant to MacLeod. "We need to work to clear these wait-lists and put the decision-making back in the hands of parents," wrote Fee in the article published Tuesday in the Toronto Star. "We need to get the youngest children into autism services as soon as possible," wrote Fee, who has two children on the autism spectrum. "This is why our government is working to revamp Ontario's autism supports. We're going to put families in control, and bring equity to a broken system." Ontario's autism program was revised in 2017 by the Wynne government to give parents the option between either receiving therapy from government-funding service providers or receiving funding directly to pay a private therapist. The theory was that this would help reduce the wait lists. But that hasn't happened. Within a year of the Liberal government announcing the shift, parents complained that the wait lists had changed little. Some parents say the government-funded providers discourage them from choosing to accept funding for private therapy. Ford government officials spoke scathingly about the program they inherited from the Liberals, calling it "atrocious"
"They burned through the money and still 24,000 kids are not getting services," said one. "We are very confident that our system is certainly more sustainable; it's certainly more fair to all families and it actually responds to concerns we've heard from parents themselves." Still, the PCs are bracing for criticism from parent activists who they believe will likely oppose the changes. "We're prepared to face whatever criticism they throw at us because it was quite frankly utterly morally and ethically unacceptable to us to leave those 23,000 kids on the wait list," said the senior government official. "If they choose to attack, we're very comfortable, because we know we're doing the right thing." The government has been holding consultations on the autism program throughout the province over the past few months. The most recent was held just last week in Windsor.